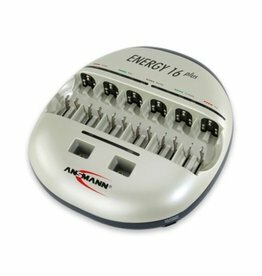 Optimal solution for demanding users: The batteries have a high capacity, and still a very low self-discharge. It is thus ideal for applications such as flashlights, toys, modelling, game consoles, digital cameras, flash equipment, medical equipment etc. 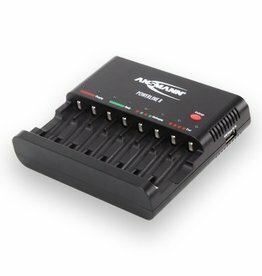 maxE has the energy to power all your devices. The self-discharge is 10 times lower than in regular NiMH batteries. After a year, there is still around 80% of the initial capacity left. This was made possible by a special separator which dramatically reduces unwanted internal current flow. NiMH batteries can generally be used wherever disposable batteries are used. This allows you to save money and protect the environment. A rechargeable battery can replace many hundreds to thousands of batteries! The batteries naturally meet the currently applicable EU Directive and the highest standards of safety and durability. Thanks to the excellent cycle stability, the NiMH cells can be recharged up to 1000 times. Since the batteries are supplied pre-charged, they can be used directly. The batteries can be used at temperatures from -20° C to + 50° C. The cells are successfully tested by TÜV Saarland for compliance with electrical, thermal, geometric and safety-related requirements. The batteries can be charged with a high charging current, thereby very short charging times are possible. With the latest battery technology, the memory effect is ruled out even after several partial charges.